I am attending the NMRA convention. As you read in Rob's post, the convention had an Advanced Section in the Bay Area. 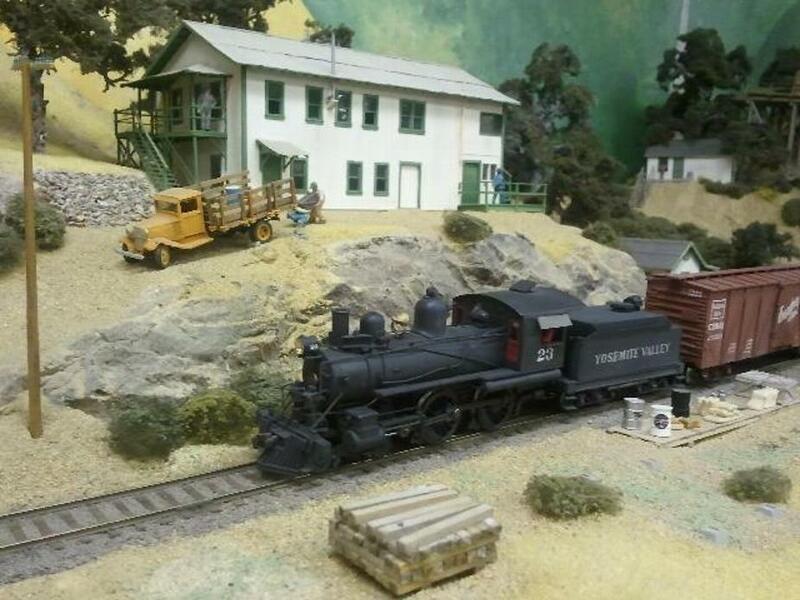 I signed up to operate a couple of layouts, Jim Providenza's Santa Cruz Northern on Saturday and Richard Bowdidge's Southern Pacific Vasona Branch on Sunday. Both op sessions were truly enjoyable - I got to run some trains and meet some new friends. I find I don't really appreciate a layout until I run a train over it. Before I run a train the layout is a jumble of scenes - often exceptionally nice scenes - but after I run a train the layout becomes a linear railroad in my head. Now I know how all the scenes connect together. On Sunday afternoon I went over to Jack Burgess' house for a in formal gathering. 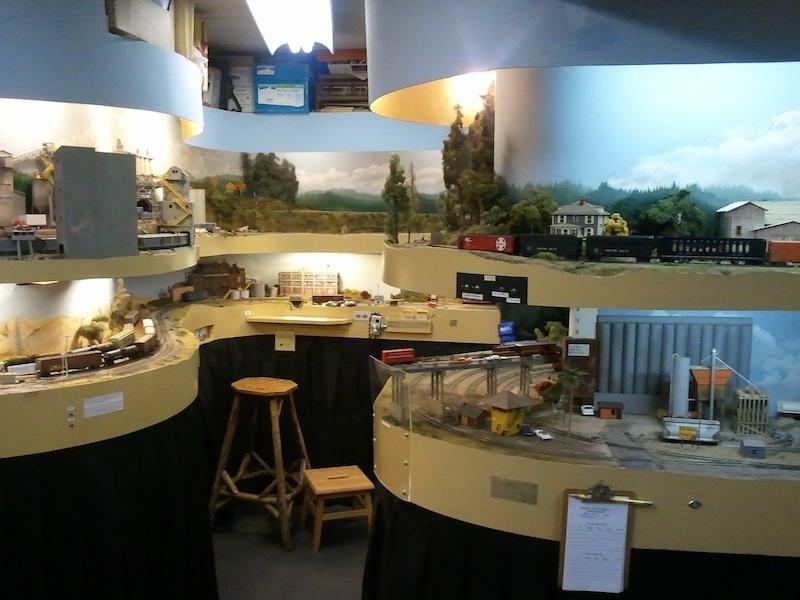 I got to run a steam train over the whole layout. What a treat! I am sure most of you know Jack's layout. It has to be one of the top 10 layouts in the world. It is historically accurate, excellently modeled and visually stunning. I helped Jack with a small bit of the layout by writing a custom program for my Quad servo decoders for his ATSF crossing. It has working semaphores and derails that sequence exactly as the prototypes did. Even the control rods from the signal tower to the derails move. It is run by 4 servos on a Quad and 2 detectors from Logicrailtech. Jack Burgess' YVRR. That's me at the controls of number 23! 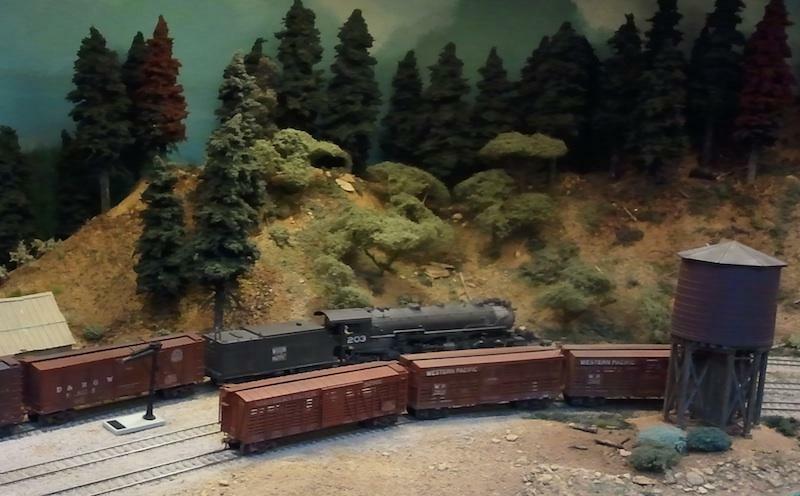 The ATSF crossing with working semaphores and derails. Even the control rods move! 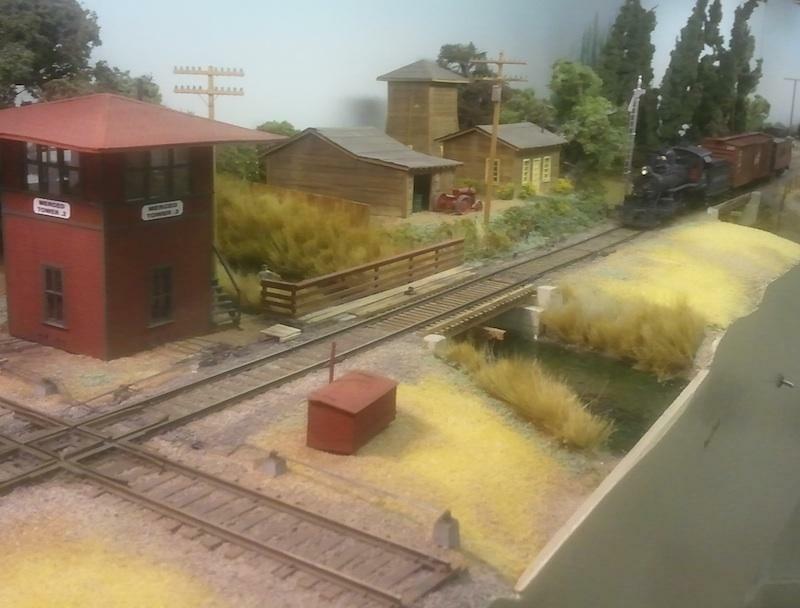 Somewhere in all this busy schedule I managed to visit a couple of layouts including Jim Diaz' Western Pacific. He lives just a few blocks from Jack Burgess. Another stunningly well done layout.